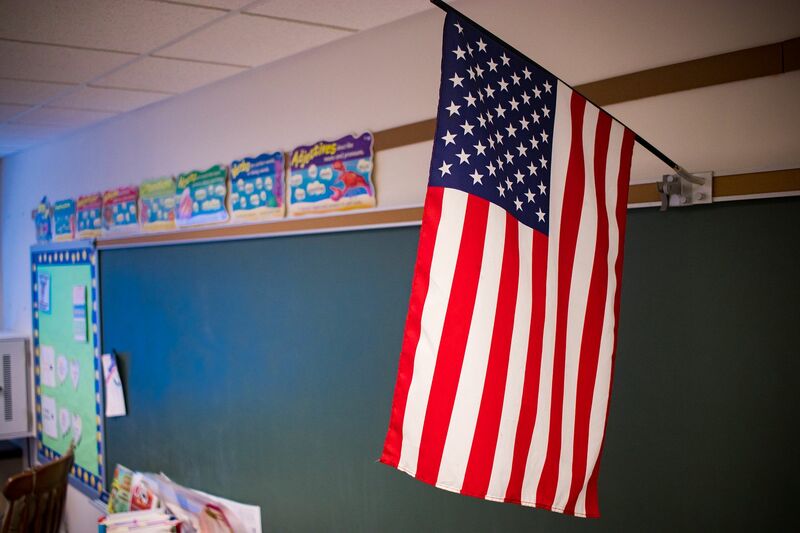 The Atlanta Neighborhood Charter School has announced that it will be ditching the Pledge of Allegiance to the flag and replacing it with the Wolf Pack Chart. You've got to love it: elementary students get together and write a chant to replace the Pledge of Allegiance. You may or may not think the Pledge is eloquent. But it is patriotic and simple and a good way to honor our country at the beginning of the school day. “There are many emotions around this and we want everyone in our school family to start their day in a positive manner. So kids at a K through eighth grade school are deciding at a tender age that they don't want to stand and honor the flag, a flag that stands for the most inclusive nation on earth. No, I don't think kids should forced to stand and recite the Pledge. But this lack of appreciation for the US at such an early age is distressing. Can't they at least wait until the ninth grade to diss the flag and the generations that have gone before, sacrificing to preserve freedom and opportunity?